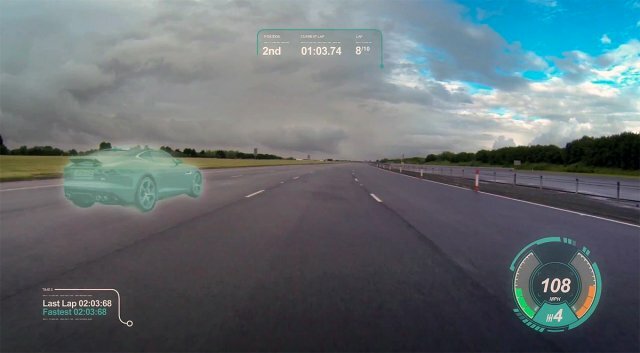 Jaguar has unveiled a new virtual windscreen made for which the manufacturer claims it will help drivers to the speedway and in everyday traffic. The company Jaguar Land Rover recently a lot of attention paid to the advanced electronic systems assists. First he introduced the so-called transparent hood, then a system that helps the car to identify the driver and that “learns” its habits and needs, in order to facilitate his daily ride. 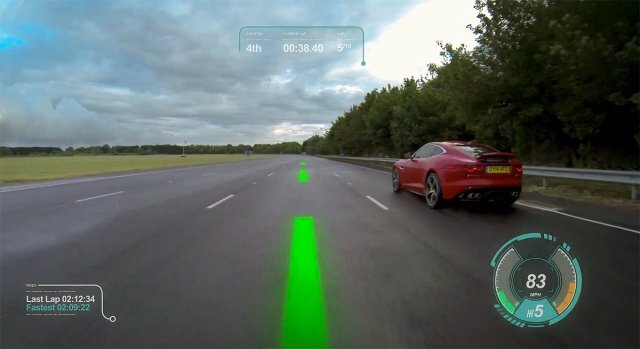 Virtual windscreen made a sort of expanded and upgraded “head-up” displays, which are offered by various car manufacturers in their models. This system is now designed primarily for driving on the race track, but it could be used in training and advanced driving. 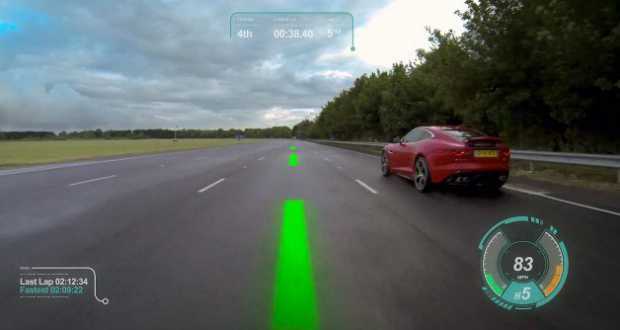 To the driver was facilitated passage through the curves on the track, the windshield glass projected ideal trajectory, which changes color from green through yellow to red to the driver know when and how hard should it hampers. Also, the driver during repeated rounds can in real time to see the windshield glass as he was driving in the previous round. Using this system can be exercising and maneuvering skills using virtual pins. Like the classic “head-up” display, the windshield glass can be designed and other data that are essential for everyday driving, such as traffic signs, speed limit notification or navigation. 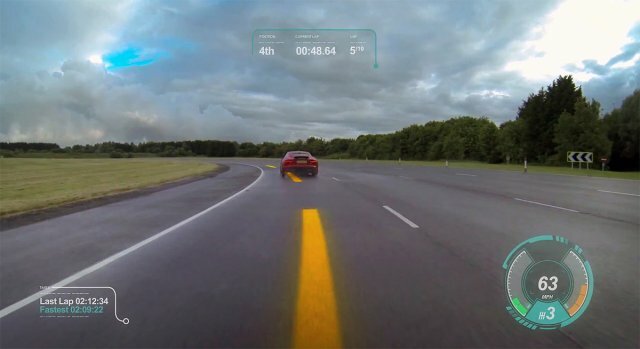 Jaguar Land Rover is working on a similar virtual systems that will contain the views of many instruments, but also the virtual mirrors, so that the driver will not have to turn the view from the road ahead. In addition the company develops technology and management specific functions and commands using gestures and movements of the head driver. Thus, for example, the driver will be able to turn on the wipers and glass that does not have the arm moves with the wheel rim.